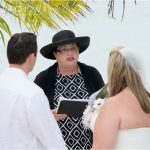 Weddings held at the couple's home is a fine Caymanian tradition, though not as popular as it used to be. This wedding was held at this couple's beautiful home in Savannah, before family and friends. 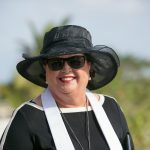 It was followed by a reception and dancing on their spacious patio. 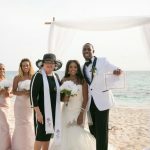 Ceremony by Joy for Cayman Weddings, photography by Dubadah Boldeau. 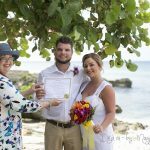 Whether you are a visitor or a resident, call us to arrange and officiate at your own Cayman Islands wedding today +1 (345) 9499933.